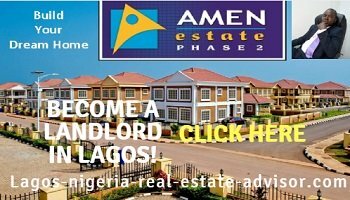 Buy Property For Sale In Lagos: You enjoy unique benefits when you buy property in Lagos Nigeria. 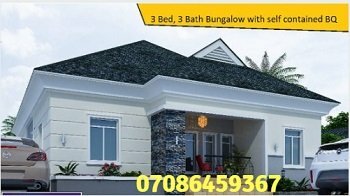 Whether you're considering buying land for sale, bungalow for sale, or duplex for sale, Lagos state, Nigeria is the best pace to buy. 1. When you buy Lagos real estate, you're buying property in a peaceful and secure city. There are no militants in Lagos (as there are in the Niger Delta part of Nigeria). That means Lagos is peaceful. And where there is peace there is investment security. 2. Lagos is a busy commercial city. More and more people are trouping to Lagos every day. This significantly increases the demand for houses. And greater demand means higher property prices and more money for home owners in Lagos. Want to invest in a peaceful and secure city? Want to get the best possible return on your Nigeria real estate investment? Click HERE to see list of properties for sale in Lagos within safe, secure and serene gated estates. Do not buy property from just anybody in Lagos Nigeria. Real estate fraud artists are all over the place. Use a trusted source. Use our services when you decide to buy property for sale in Lagos Nigeria. You trust us to help you seek out and buy genuine property for sale in Lagos Nigeria. And we do just that. Additionally, our team is made up of professionals who are passionate about customer satisfaction. Their governing principle is honesty and fairness. The overriding objective for us is to help you purchase the home or land for sale of your dreams . . . something you can be truly proud of. You're in safe hands here. Click here to see list of land for sale in Lagos.